Find a style all your own with the unique design of the Scoot Sit-Down Workstations. The intriguing holepattern look provides a little personality to your workspace with a style that fits into any office ambiance. The workstation features a side pocket that is great for holding active files, projects or even your tablet when it’s not in use. If you love the look, but would rather take a stand, The Scoot Workstation also comes in a stand-up version. 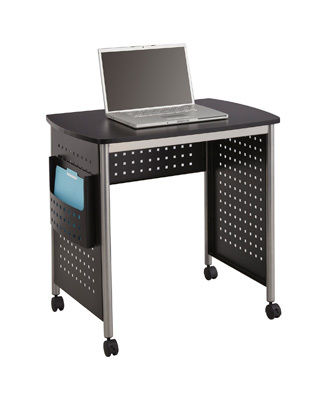 The Sit-Down and Stand-Up Workstations nest together, the Sit-Down Stations fits inside the Stand-Up Station, to create a smaller footprint for anyone looking to have a standing and sitting option throughout their workday.